While the premise of the YouTube channel Bad Lip Reading is a little familiar at this point (they’ve poorly dubbed everything from Game Of Thrones to Twilight), it’s still hard not to get some joy out of watching very serious actors say very ridiculous things. The group’s latest Walking Dead video (they’ve lampooned the show before) offers the usual absurd conversations and funny voices alongside the Walking Dead-specific trope of giving the show’s zombies pedestrian dialogue right before they die. And while the last video gave the Governor a Broadway-esque performance, this video takes a hip-hop approach to its musical finale. 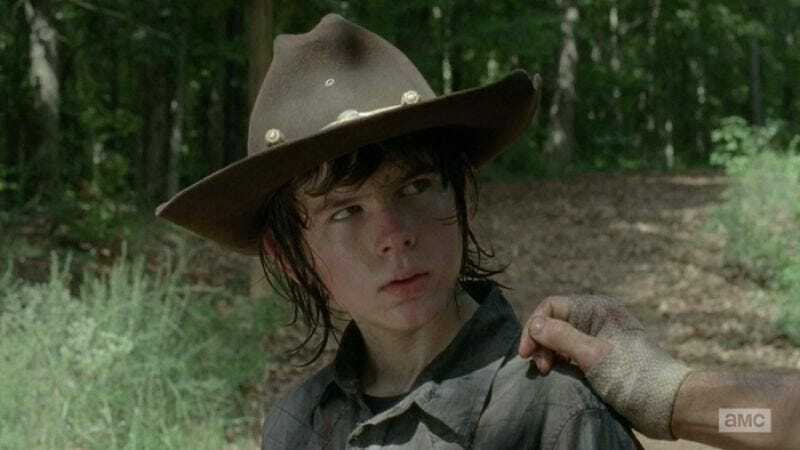 Carl’s impassioned speech to Rick has now become the rap anthem of “Carl Poppa” and his crew of undead backup singers.